View our full selection of ISO 13485 / CMO services below. ISO 13485 / CMO GMP Compliant Services GenWay maintains ISO13485 accreditation for the development, validation, and production of antibodies and proteins for use in FDA regulated or CE mark products. GenWay has developed and manufactured antigens and antibodies for use in IVD’s and also for assays used in development or testing of pharmaceutical and biotech products. Under the GenWay Quality System we work with clients in design control, development, validation, production, and testing of antibodies and proteins. 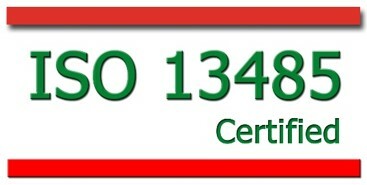 Contact us to learn how we can support your ISO 13485 / CMO services needs.